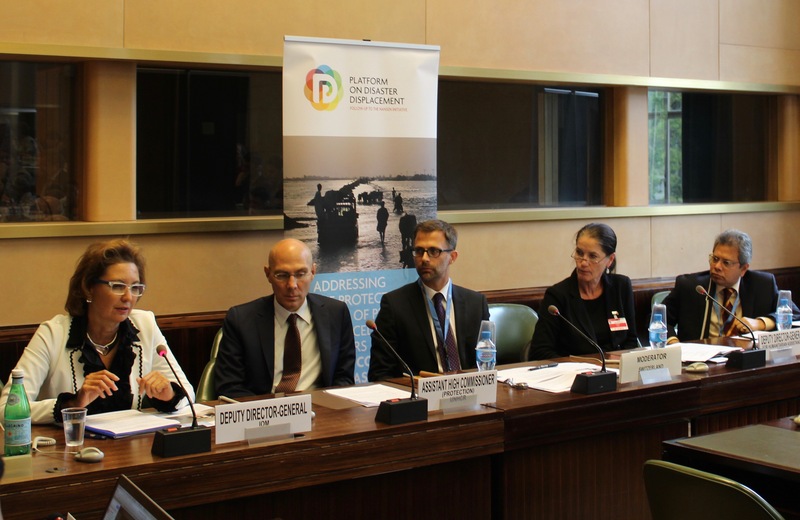 Palais des Nations, Geneva, 5 October 2016 – Germany (PDD Chair) and Bangladesh (PDD Vice-Chair) presented the key milestones ahead for the Platform on Disaster Displacement and discussed, together with representatives from UNHCR and IOM, the opportunities and challenges of implementing the Nansen Initiative Protection Agenda. Amb. Laura Thompson, Deputy Director General, IOM. The event was moderated by Mr. Oliver Hoehne, First Secretary, Permanent Mission of Switzerland to the United Nations in Geneva. 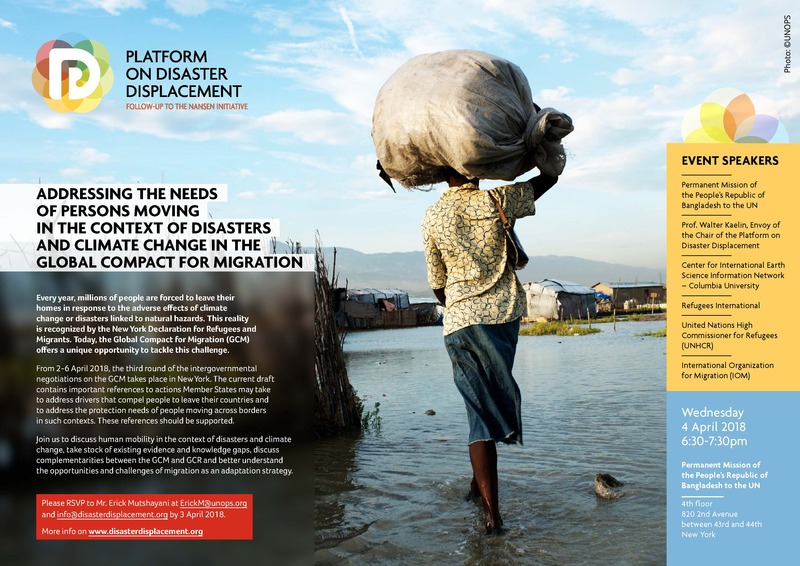 “In the last years, disasters linked to natural hazards such as earthquakes, floods or droughts have affected on average 218 million people, 26 million people have been displaced and 250-300 billion USD were incurred in economic losses each year. Therefore, we are planning, for example, to support cross-border disaster simulation exercises in high risk countries, in order to produce further best practice examples for cross-border protection measures.” said Ms. Annett Günther, Deputy Director-General for Humanitarian Assistance at the Federal Foreign Office of Germany. 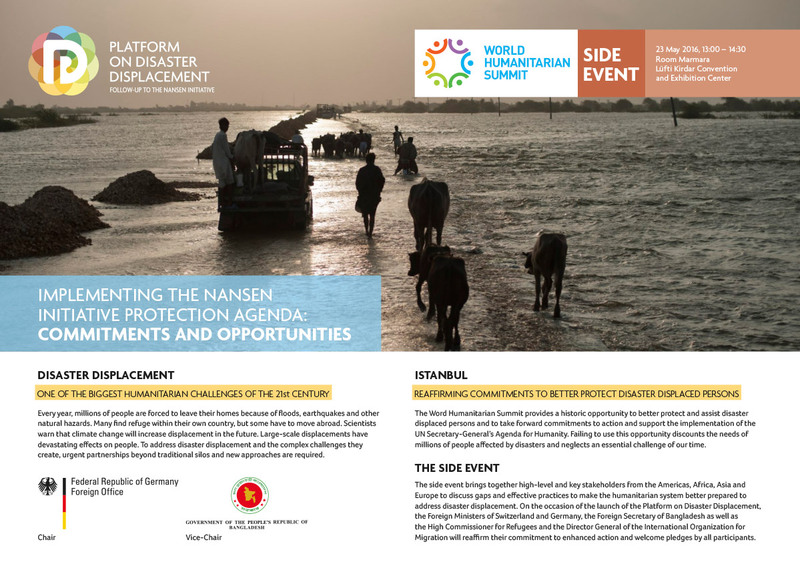 On behalf of Switzerland, the former co-chair of the Nansen Initiative and a strong supporter of the Platform, moderator Oliver Hoehne opened the discussion by stressing the importance to include a variety of stakeholders in this discussion, including the Red Cross Red Crescent Movement and civil society. He also hinted at the transversal nature of the issue, as disaster displacement cuts across the competencies of several different ministries including migration, foreign affairs, justice and human rights. Several participants including member states, NGOs and members of the Platform’s Steering Group took the opportunity to engage with the panellists through comments and questions. Panellists agreed that joint efforts among agencies and member states will be required to ensure human mobility and disaster displacement are reflected in the relevant policy fora, such as the Global Compacts on Refugees and Migrants. IOM recognised the difficulties of coordinating the multiplicity of actors, but acknowledged a first success in the introduction of human mobility in the SDGs and the Paris Agreement. At the same time, UNHCR called for a participatory, matrix approach to governance to address these cross-cutting issues. A sense of responsibility with a view towards caring for future generations was required. Mexico, as the host of the fifth Global Platform on Disaster Risk Reduction in May 2017 in Cancun, was eager to see the Platform’s work closely link up with activities undertaken to implement the Sendai Framework. In addition, France was interested in learning more about the relationship between the Platform and the Task Force on Displacement under the Warsaw International Mechanism for Loss and Damage associated with Climate Change Impacts. The European Union stressed their support to the Platform through their engagement in the Steering Group and financial support to the Nansen Initiative. Benin and Senegal drew the panel’s attention to the specific needs of coastal regions and called for recognition of both sudden and slow-onset disasters as causes of displacement. Often, developing countries were among those most adversely affected by climate change and needed the support of the international community to increase their resilience and adaptive capacities. In this regard, the Norwegian Refugee Council, a key implementing partner of the Platform, stressed the importance to implement the Nansen Initiative Protection Agenda and put the identified effective practices into action. 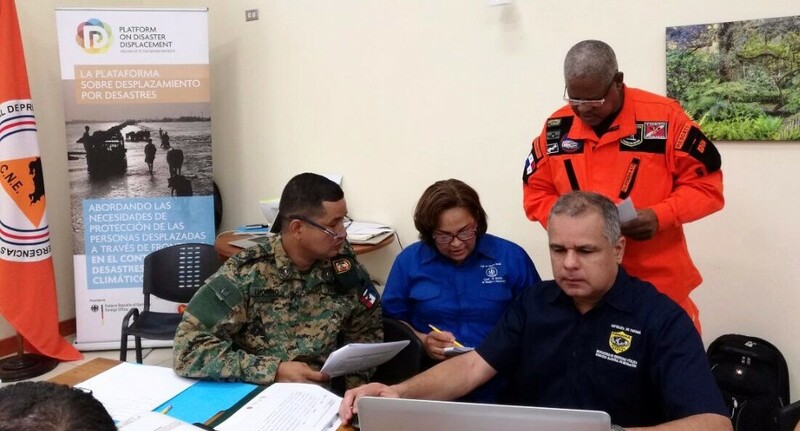 A focus on the prevention of disaster displacement and the protection of those affected was necessary.